Are you curious about how you might transfer your contacts from an old iPhone to a new iPhone (including the devices running iOS 12)? It's actually a fairly easy process and there are a few ways that you can do it. First of all, you can use Apple's official methods to transfer your contacts, but keep in mind that these are often too troublesome involved. Transferring your contacts may seem like a simple task, but Apple kind of over-complicates things and doesn't allow you to transfer your contacts only—you have to sync everything else on your phone as well. Method 2. Only Few Contacts Need to Be Transferred? Share Them! Step 1. Connect both your phones to your WIFI network. Step 2. On the first phone, go to Settings > iCloud and make sure that “Contacts” is on your list of items that will be synced. Step 3. 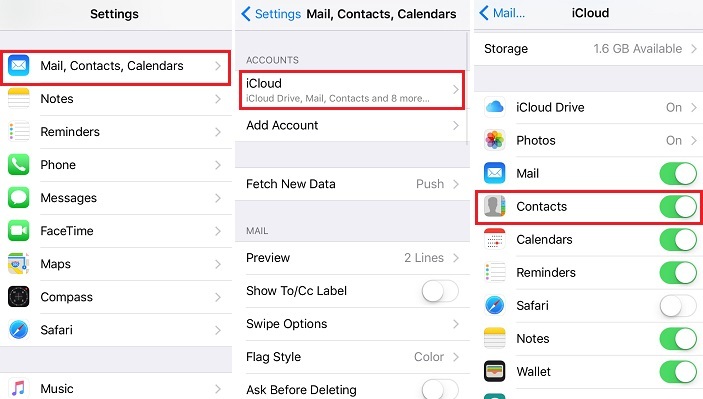 Wait for your contacts to sync to the cloud, then go on your new IPhone and follow the same process of going to Settings > iCloud and setting your contacts to sync. After awhile (when it is done syncing), the contacts should show up on your new phone. Step 1. On your first phone, go to one of the contacts that you want to transfer. Tap Share Contact. Step 2. Now you will be asked to choose an app to share with. 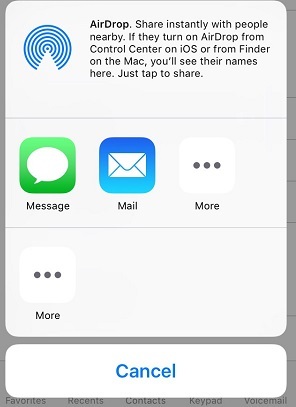 If your new phone is on the same WIFI network as your old one, you can use AirDrop. If not, you can send it through iMessage, WhatsApp, and so on. 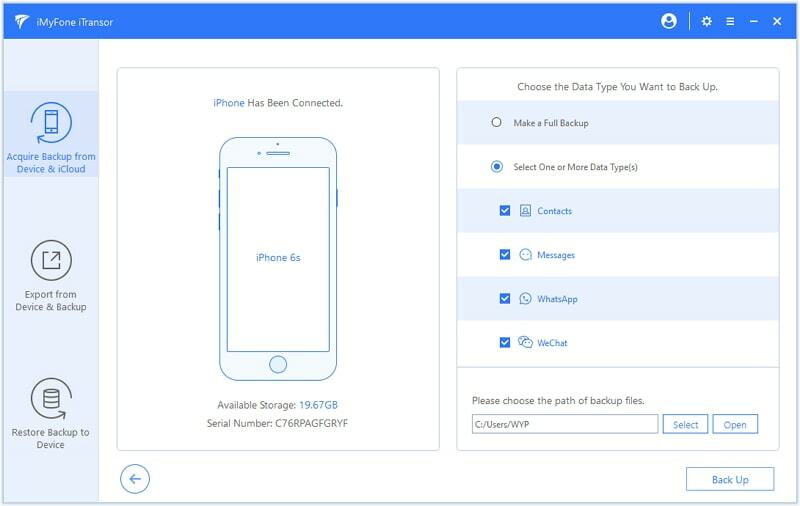 You can transfer all of your data to a new phone, or just Contacts, Messages, WhatsApp data, WeChat data. 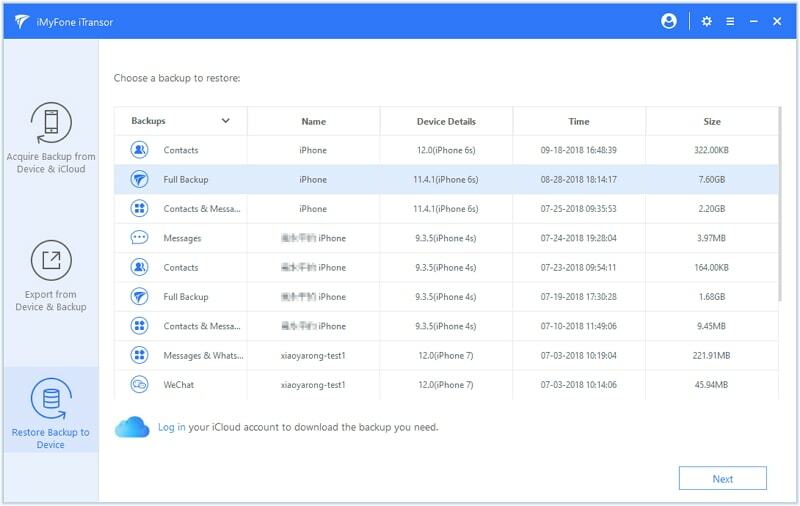 You can make a full backup or partially backup such as Contacts, Messages, WhatsApp data and WeChat data of iPhone. 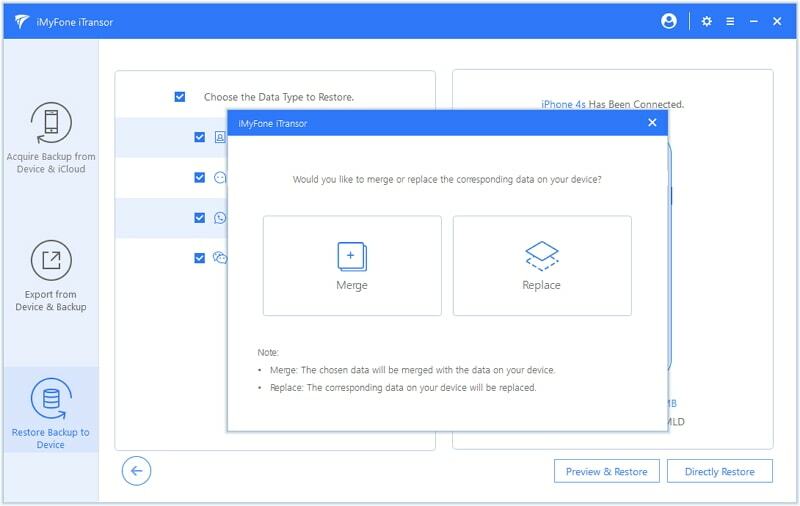 You can selectively restore data from iTunes/iCloud/iTransor backup to your iPhone and merge the data in backup with the data on your device. It supports almost all iOS devices, such as iPhone X, iPhone 8, iPhone 7 running on iOS 12/11/10/9/8, etc. You can also use it to export 18+ types of data from iPhone or iTunes/iCloud backup files. To transfer your contacts using iTransor, you can simply follow these easy steps. Step 1 – Launch iMyFone iTransor and then choose 'Acquire Backup from Device & iCloud' option. Now click on 'Back Up Device' panel. Step 2 – Subsequently, make connection between your device and PC via USB cord and choose the option 'Select One or More Data Type(s)' from the right column. Check the box next to Contacts and hit on 'Backup'. 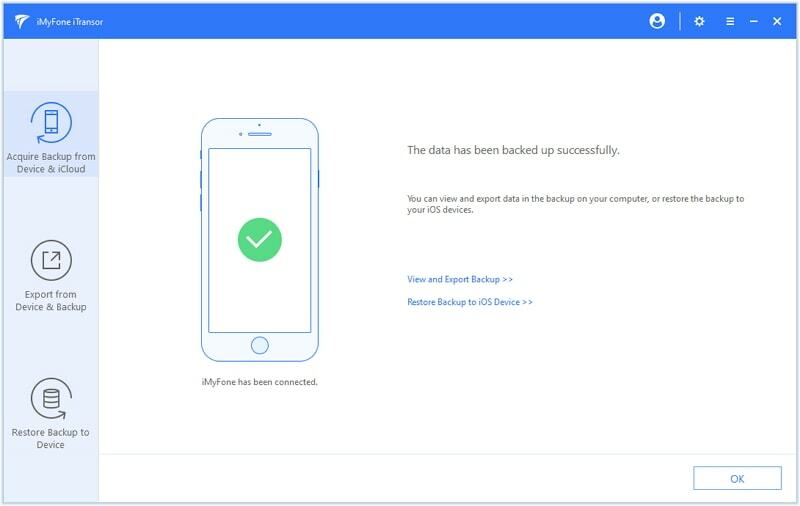 Step 3 – Keep your iPhone connected with the computer and you will get informed that backup has been completed successfully after a short while. 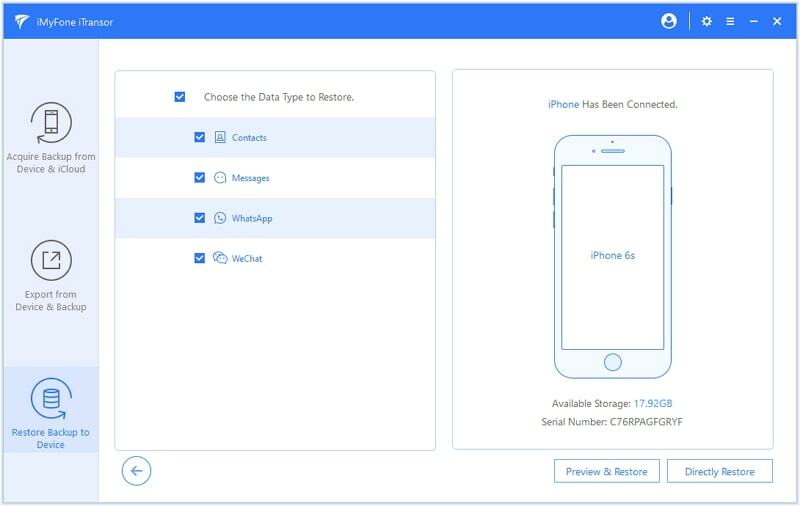 Now you can restore the contacts backup you've just done to your new iPhone. Step 1 – Open the program and click on 'Restore backup to Device'. A list of backup files will be on the screen now. You need to select the contact backup you just made with the help of iTransor. Hit on 'Next' after selecting the backup file. Step 2 – Now, on the screen below, make selection between 'Preview & Restore' and 'Directly Restore' options. If you don't want to preview the data you can just click 'Directly Restore'. It will go to the step 3. If you choose 'Preview & Restore', you will be able to preview the contacts before restoring. Step 3 – You will see two options from the pop-up window namely 'Merge' and 'Replace'. Choose according to your preference and transfer the contacts to your new iPhone. Transferring your contacts doesn't have to be complicated. While it's simple enough to use iCloud, if you want to transfer just your contacts—or back them up onto your computer—it's probably best to use iMyFone iTransor which also supports iOS 12. 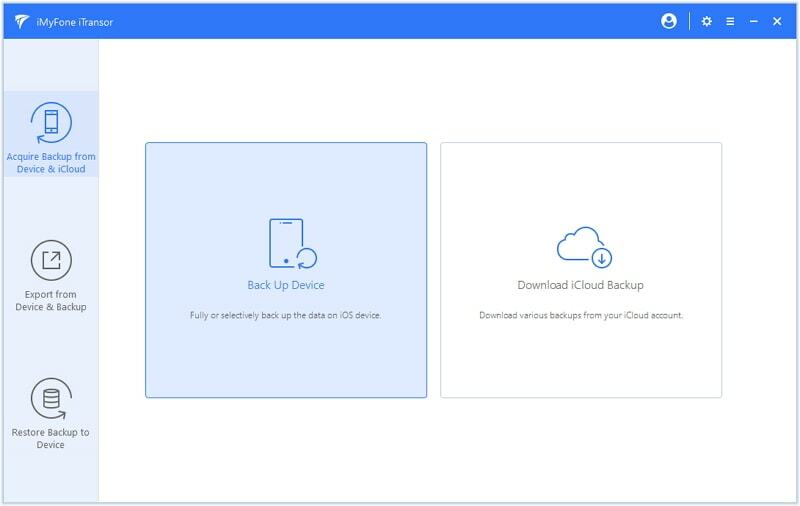 This will allow you to selectively restore your backups and have more control over your data.